AdvantaClean of Coastal Carolina of Wilmington, South Carolina is a full service mold inspection and mold removal company. We strive to provide excellent customer service that you can trust. AdvantaClean has years of experience helping homeowners, real estate companies, property management groups and commercial contractors solve their Wilmington, NC mold issues. DO YOU BELIEVE YOU HAVE A MOLD ISSUE IN WILMINGTON, NC? It only takes a small water leak or high levels of humidity for mold to form in your Wilmington home or business. Mold can then form throughout the property in as little as 48 hours, potentially causing devastating damage. If you have a mold problem in your home or business we can evaluate your property, utilize our specialized training, equipment, and expertise to remediate your mold issue. Mold is commonly found in areas with excessive amounts of moisture such as attics, crawl spaces, bathrooms, laundry rooms, and flooring. Mold feeds off of materials such as wood, leather, clothing, etc. Mold spores produce rapidly in humid climates like the Wilmington area, so we understand how severe your mold issues can be. An abnormal amount of moisture can cause excessive mold growth as well as an increased health risk. 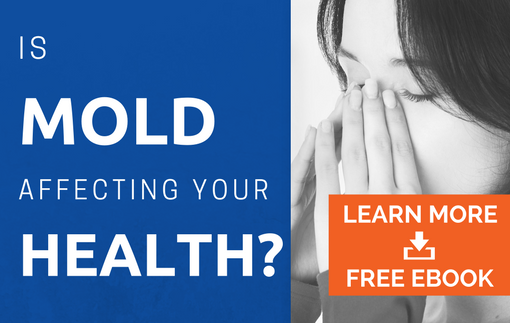 The presence of mold can also cause health problems for susceptible individuals. Some people are particularly sensitive and irritated by mold exposure. Systems of mold allergies include irritation in the eyes, sneezing, coughing, and severe respiratory issues. Prolonged exposure to mold can be linked to difficulty breathing and can lead to harmful effects on your family’s health if it is not properly taken care. Great care must be taken in the mold removal and mold remediation process. Without proper education and training, you risk the possibility of further contaminating your property and increasing the mold damage. Removing mold requires proper training, chemicals, and equipment. AdvantaClean of Coastal Carolina has certified, trained mold remediation professionals that will meet with you to discuss a plan for mold testing and remediation. Each AdvantaClean technician is trained on proper mold removal and mold remediation procedures and will have your home up and running efficiently. AdvantaClean of Coastal Carolina holds certifications through MIRCO as a Certified Mold Contractors and Certified Mold Inspectors and Mold Remediators. We are knowledgeable in the proper procedures, tools and equipment to use in the mold removal process. AdvantaClean of Coastal Carolina works with property managers, homeowners, insurance adjusters and industrial hygienists in providing full service mold removal and mold remediation-- recreating a healthy living environment. FOR MOLD CLEANUP, DEPEND ON THE MOLD EXPERTS AT ADVANTACLEAN OF COASTAL CAROLINA FOR MOLD ASSESSMENT, MOLD REMOVAL, AND MOLD INSPECTION AT (910) 370-8420!